Home » World » Asia-pacific » Report Says China Manufacturing at 4-month Low! Report Says China Manufacturing at 4-month Low! 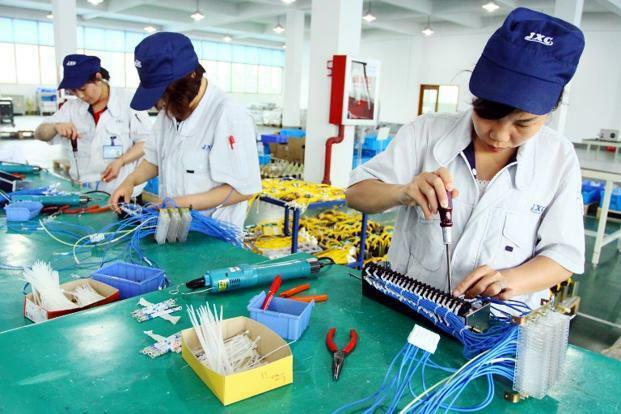 A survey has revealed that China’s manufacturing is declining at is at a 4-month low. While economic reforms are being brought into effect to save the economy and it does seems to be be effective. But the other side of the sector seems to suggest the contrary. The only real truth behind the slowdown is decreasing requirement, which could only positively mean that there still hasn’t enough been done to stabilize the economy. HSBC Corp. said Monday the preliminary version of its purchasing managers index for February fell to 50.4 on a 100-point scale on which numbers above 50 show activity expanding. That was down from January’s 52.3. Growth in the world’s second-largest economy rebounded in the final quarter of 2012 but analysts say a recovery will be gradual and could be vulnerable if trade or investment decline. HSBC said its survey found export orders decreased while output and overall orders grew at a slower rate. We sure do hope the same. A very slow and a very stable, concrete growth is what we all are looking forward to. US welcomes Chinese Banks on it's Land! Previous: Sony Announces PlayStation 4! Android Market Share is Growing at 14% a Year Faster than iOS!